Crossing the river with magnificent views, the Vasco da Gama Bridge of Lisbon is one of the many highlights of the great capital city of Portugal. The Arco Triunfal da Rua Augusta provides an impressive gateway to the city and to a large square where can you have great views over the Tagus River. Lisbon is rich with fascinating impressions. Explore its Gothic styled basilicas, grand museums, and majestic lookouts that are all part of the city’s vivid landscape. The best time to visit is during the warm summer season (from March – May) all the way in the succeeding months when most national festivities are celebrated (June - August). During this peak season, lodging rates are less expensive and it is convenient to walk around in its sunny weather. You can also include a visit to the beach as part of your holiday itinerary. The late spring (September – October) sees changing temperatures and the occasional downpour. In winters, (November – February) going around is quite hard to manage because it is considered the wet season and the coldest with temperature averages of up to 50s. These are the things to do and attractions to see in the city of Lisbon. The Fundacao Calouste Gulbenkian Museum is somewhat hidden, but once you look inside it has a really great collection that changes regularly. In this modern museum you can admire Rubens and all sorts of famous painters, but there are also beautiful pieces of Japanese artifacts and an excellent collection of inros (an oriental ornament box). Do not miss the medieval paintings of Rogier van der Weyden and the books both from the west and from the east. There is also an extensive collection of silver objects and a separate room with artifacts from Lalique. This room has been refurbished and now contains fewer pieces but more quality. Most of the collection consists of personal belongings by Gulbenkian who served the Sultan of Turkey under the Ottoman Empire. It also has a wide collection of Chinese porcelain, unique ceramic specimens from Persia, Syria, Turkey and the Caucasus times of Genghis Khan and the late 18th century. It is recognized as one of the most beautiful museums in the world because of its setting, display, and wide variety of collections. The entire block of the small museum is surrounded by an exotic garden and a favorite venue for events (concerts, conferences, meetings, etc.) and exhibitions. The museum collections range from Egyptian, Greek, Persian, Chinese and Japanese. Do not forget the furniture and painting section with interesting medieval section and art works from Guardi, Turner, etc. At the Gulbenkian everything is nice and perfect; it will leave you speechless! The Torre de Belém is a part of the city that you must see. It has a high cultural level and within walking distance of each other are some gems to be found; the church, the accompanying museum and the memorial. This monument dedicated to the Discoveries was built in Lisbon in 1960. It celebrates the Portuguese explorers of the 1400’s. Their voyages were made possible by the work of Portugal’s Prince Henry, who founded the world’s first school of navigation. Inside you can see ornate architecture and elegant moldings. Situated on the right bank of the Tagus river, the tower has a good observation platform with an entire view of the Belem district. The tower itself is very original, wielding its imposing presence in the water and one of the most worthy attractions of Lisbon. The Manueline style with embroidery in stone triumphs in this monument is considered the symbol of history and business of the Portuguese nation. The Oceanario de Lisboa is a beautiful sensory experience. It is a large aquarium that gives the impression of being immersed in water. It can be seen from two different levels with different perspectives. The rock formations and corals recreate the underwater environment very well and are enriched by vegetation that makes the environment realistic. The aquarium succeeds in recreating all the natural habitats of the various oceans. You can walk in the darkness of the abyss and allow yourself to be hypnotized by the water and species of exotic colors, or the huge sunfish stealing the spotlight from the fearsome sharks. Located in the magnificent Park of Nations, the Lisbon Oceanarium brings together a multitude of marine animals, each as fascinating as any other. You can find cuttlefish, octopus, jellyfish, sea dragons, and almost the entire list of tropical fish. If you arrive at the right time you can witness how the sea anemones are fed. Do not miss the section about the seals and the little otters; they are very cute and well loved by kids. The Miradouro da Senhora do Monte is a lovely observation deck near the 28th stop of the tram with cafes under the pine trees and a beautiful temple. Lisbon is filled with a dozen lookouts, but the view from here, is perhaps the most exciting because the whole city can be viewed at a glance and there are benches to sit. From this point you can see the statue of Christ (Sanctuario Nacional de Cristo Rei), the Vasco da Gama Bridge, Santa Justa Elevator, Convent do Carmo, São Jorge Castle and much more… The view on top of the whole city simply defies description. Upstairs, there are small shops where you can relax and fully enjoy the spectacle, and even a small café where you can have a cup of hot coffee while enjoying the breathtaking views. Take the time to get to this site and you will not be disappointed! The Santa Justa Elevator connects the center of Lisbon to the old part of the town at the top of the hill. This intriguing structure was built by Gustave Eiffel, the architect of Paris’ famous Eiffel Tower. The more than a century old elevator is included in the system of public transport and you can ride it on a regular ticket for public transport at a fair price of 6 Euros. With an overall height of 45 meters, the elevator easily accommodates at least 30 passengers. Ticket on the rise can be bought at the entrance and this ticket entitles a visit to the observation deck located on top of the elevator. From there you can have a great view of the city. A ride on the Santa Justa elevator is worthwhile despite the sometimes long queues. The ride is very short- about 30 min, but the view from the Bairro Alto, Baixa Chiado on the lower city and the Tagus River is impressive. All the streets in Lisbon are located in Baxia Chiado and from here you can head to where you want. It is very pleasant to walk in the area and every day you will see something new. This cozy street has lots of shops and boutiques, lookouts (miradours), restaurants and vintage pastry shops. This region is the heart of the city where you can find old buildings, narrow streets, and paved areas with cozy cafes. It is a very colorful and touristy place. A cheerful, happy, crowded area with many pubs and a large shopping center. It is nice to walk, drink coffee, take a look around, or just go people watching. It is especially interesting to wander around these alleys at night when all the people - both local and tourists come to dine, watch the performances of the street artists, and hang out. The street is lively until midnight and truly conveys the entertaining spirit of Lisbon. The crossing of the tram at all times is one of the charming parts of this busy and lively street. Going down the Arco Triunfal da Rua Augusta, breathing stops for a moment when you meet this monumental arch that leads into the beautiful views of the Piazza do Comercio, one of the most important and historical parts of the city. You will be in awe of the really beautiful statues that adorn it and with the two galleries that are located on both sides it is definitely one of the symbols of the city that you must see when in Lisbon. The arch looks impressive and dazzling for the purity of its white color. This majestic landmark is one of the most photographed places in Lisbon. This cute bow hides one of the most beautiful squares in the world at Commerce Square, built after the 1755 earthquake, a visit here is a must and a great privilege to photography lovers. You can climb to the top of the arch and see a great panoramic view of the entire city and the gateway between water and land. Built in the time of the Marquis of Pombal, this arch serves as the symbol of commerce and trading with other European nations. Nearby there are several cafes and restaurants, shops, mimes, buskers, and statues. It is a monument of trade and history with a wealth of detail in every corner. The Triumphal Arch of Augusta Street exudes beauty, filled with importance and symbolism. It is much more than a tourist spot, it is a place that must be seen, felt, and understood. 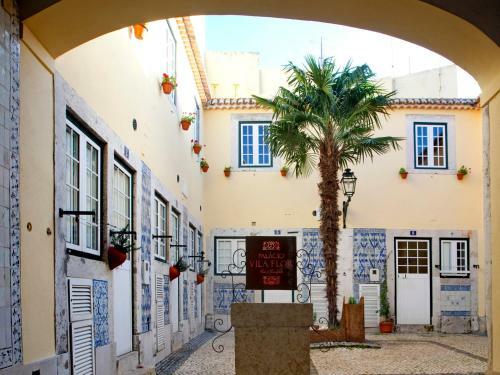 The quaint neighborhood area of the Bairro Alto is located on one of the seven hills of the city. 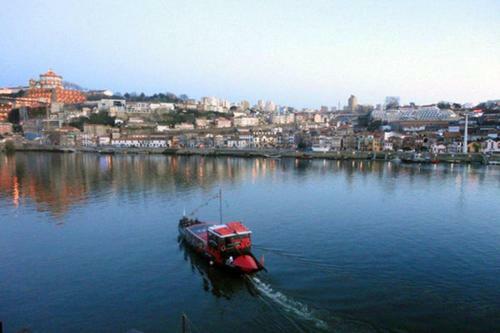 It can be reached by tram or funicular and this charming district contains the most popular clubs and bars of Lisbon. This is one of the coolest and interesting areas of the city that caters more to the crowd who likes to party and have fun until the wee hours of the morning. The nightlife in Lisbon is concentrated in this district, more specifically on the street of Atalaya. On sides of the narrow streets are a bunch of bars, each of which you can access, dance, enjoy music that you can find to your own liking. Most bars serve beers and a delicious mojito, all packaged in half litre servings at a cost of 4 Euros. If you are looking for a place to go to after midnight that is fun, loud and entertaining, just take a taxi from the city center and get here. The Vasco da Gama Bridge is the 2nd Lisbon bridge that is located across the river which is striking in its length and width of grandeur. The bridge is a perfect example of remarkable engineering that connects Lisbon with the old but fashionable residential areas located at the other side of the Tagus river. Public transport is not available and to explore this bridge it is highly recommended to travel by a private car or join a package bus tour. The Vasco da Gama bridge with its 17.2 km is widely acknowledged as the longest bridge in Europe. It runs on water pit and is very close to Parque das Naçoes. It is awesome to contemplate in its magnitude and length especially at the beginning when you drive up straight and see its marvelous frame and design. It was one of the most significant and useful legacies of the Lisbon Expo 1998. The historic bridge is a beautiful structure with an unforgettable tour for those who appreciate nature. Among all the lookout points of the city, the Miradouro Sao Pedro de Alcantara is one of the best. 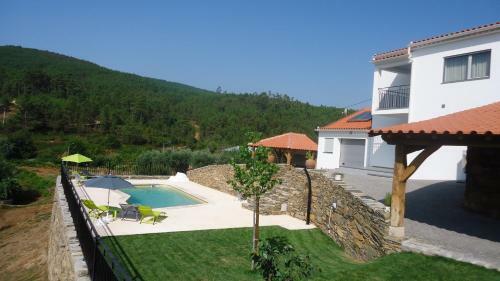 In addition to the breathtaking view of Lisbon, the garden is well maintained. This lookout is just a few steps away from the busy streets of Chiado. You can see a beautiful panorama of the city with direct views of the castle and the cathedral. You can get there via an elevator ride at Gloria building and there are two levels to see the scenic panorama. The first level has a row of benches and secured with a railing while the lower level has a well-tended garden with the higher kiosk where you can enjoy a refreshing lemonade while overlooking the city. It is the perfect spot for watching Lisbon and taking a few pictures of its beauty.